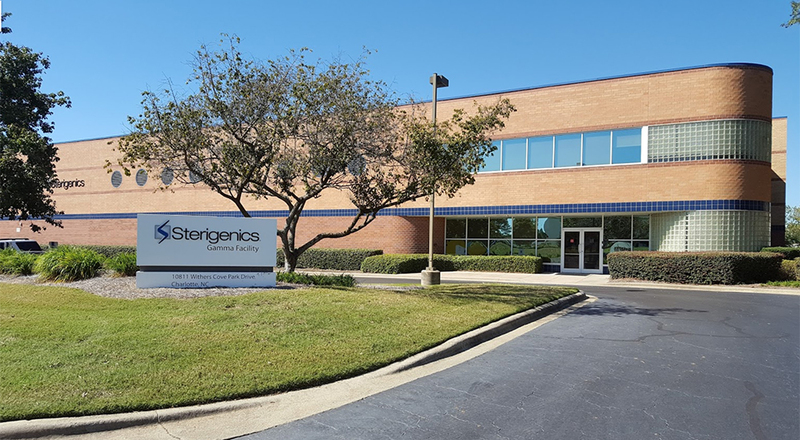 Coram Construction built the highly technical 68,000 sf facility in Charlotte, North Carolina for Stergenics a global leader in sterilization services. A sixty-eight thousand square foot facility including shipping, receiving and two gamma cell areas for nuclear sterilization. Each gamma cell area has a stainless steel lined pit which extends thirty feet below the finished floor. The building also has several concrete maze walls and elevated slabs which are six feet thick to help contain the cobalt radiation used to sterilize medical supplies. Won the President’s Award in the 1994 Architectural Brick Design Awards competition and a Merit Award from the Construction and Specifications Institute.